Congratulations to Liz; for completing yesterdays Southport 10k race in 01:39:08. The race was partly on Southport Beach, pretty rough and squelchy terrain given the recent Great British weather, so Liz did great. Thankfully it stayed dry for the event. 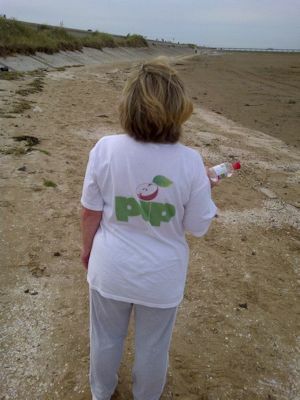 Liz has raised over £100 in sponsorship for PIP-UK, fantastic support yet again, thank you everyone that sponsored Liz. We are incredibly grateful for all of your kind donations, be it a penny or a pound, your generous support is humbly appreciated. There were plenty of photos taken on the day and you can see them by visiting the Legacy Event Series Facebook page. The running season is coming to an end now, but here at PIP-UK we are really looking forward to next seasons running events, where we hope to enter lots more teams for PIP-UK. It was a lovely day for a run if a little cold. On the plus side we raised much needed funds for PIP and I got a lovely sun tan :). I must say a big thank you to my sister in law Diane who raised the sponsorship from her very generous colleauges at work, thank you Diane and all your colleagues.